Previous Post: We Are Not Trees…It’s Okay to Move! Next Post: Go Granny Go! Retiring Abroad – What Does It Take? 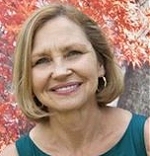 Donna Davis is the author of Retirement Basics: Help for Broke Baby Boomers. She is originally from New York City and is a graduate of New York Chiropractic College. She researched this information for herself and then decided to share it with others who might benefit. She is a skier, hiker, traveler and animal lover. She currently resides in Snowmass Village, Colorado. Please check out her Retirement Basics for Boomers website. We decided not to retire to another country (though we considered it), but we did move to a warmer state, Texas from Iowa. And our annual month living on Isla Mujeres, Mexico, is still a treasured tradition. Thank you so much for this truly excellent article. I am a newcomer to this site, and I have greatly enjoyed what you have written. Sensibly presented, intelligent advice. So rare nowadays on the ‘net, a joy to read when I can find it. You and Gordon Kinghorn are, to me, the two best writers on this site. Long may you continue to entertain and inform us with your advice and wisdom. Now in Surabaya, Indonesia, to Penang, Taiping and Ipoh, Malaysia in June, to Brunei in September, then home to Australia for two months, then I’ll start again and do it all over! Being 67 is the best. 67 sounds fabulous. Do you write about your adventures? I’m sure you have plenty with those locations on the horizon. I’d love to hear about them. I hope you have a wonderful time. Melbourne is pretty nice too. Thanks very much for your kind words about the article. It’s nice to hear and I’m glad it was helpful. Heard You on the radio with Josh today 12/26/2015 , I have a question about social security and whether to file and suspend my benefits ? I have enjoyed these writings and look for more. My wife and I are thinking of Thailand or Penang a a retirement spot. What say you? I have lived and worked in six countries already from Scotland to Singapore and we both love the heat and palm trees and little brown bodies running around. So we are happy! We would love to hear from others who have been there and done it.